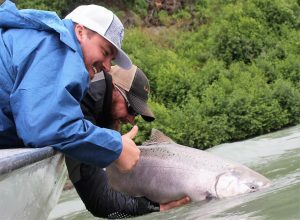 King Salmon are the Kenai and Kasilof River’s most treasured species. Not only are they the largest species in each of these watersheds, they’re the largest of their kind in the entire world! 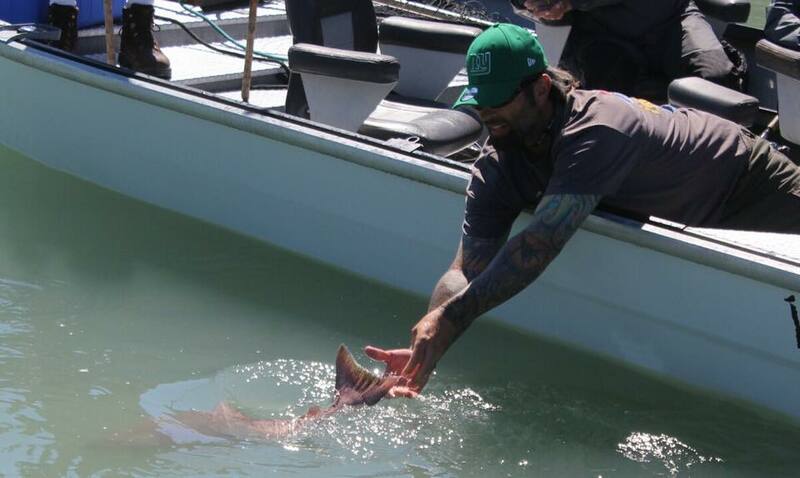 Because these fish are genetically unique, relatively rare, so important to our community, and extremely special, we put their sustainability at the top of our priority list. Fishology feels so strongly about these things that we have actually implemented a self-imposed policy in an attempt to lessen our impact, however small it may be, and put the fish first. Before you praise our selflessness, realize that when we prioritize sustainability, what we are really doing is simply putting our long-term interests ahead of our short-term interests. It’s not so much a selfless act as it is an anticipatory one. 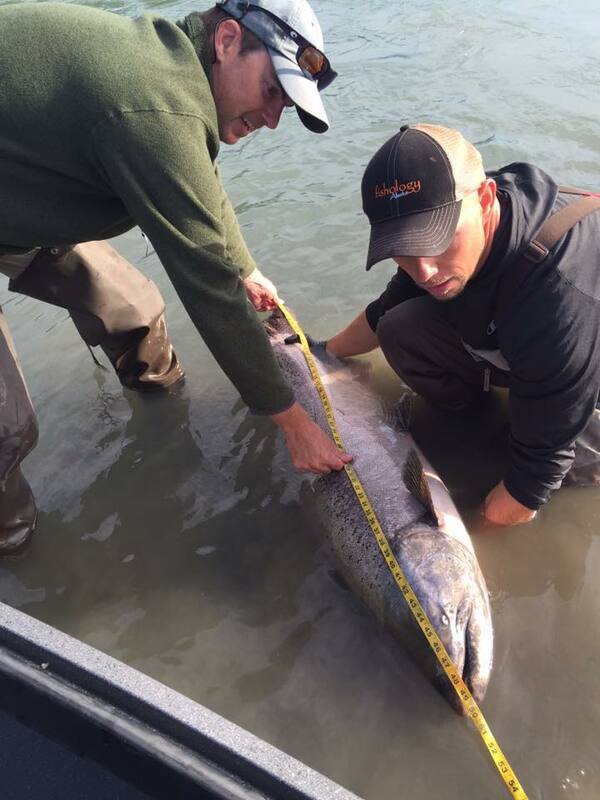 The Kenai and Kasilof Rivers have a long history of being world-class King Salmon fisheries. They’ve been harvested by commercial, subsistence, personal use, and sport fishermen in different quantities over the years, and given the pressure these fish are under it’s amazing they continue to thrive. But in the early 2010’s these famous King Salmon fisheries showed a chink in their armor when runs began to decline at a rapid rate, and the genetically unique Kings that put this place on the map became rarer than ever. Sport anglers blamed commercial nets, commercial fishermen blamed the increase in sport angling, while others said it was simply ocean conditions and all part of a grand cycle. Of course, no user group wanted to take any blame for the downturn nor bear any burden of conservation. But like it or not, ADF&G came down hard with restrictions both in the river as well as at the mouth; commercial fishermen spent many days in harbor, and sport anglers were forced to turn to other species if they wanted to continue fishing. In short, no one was happy. 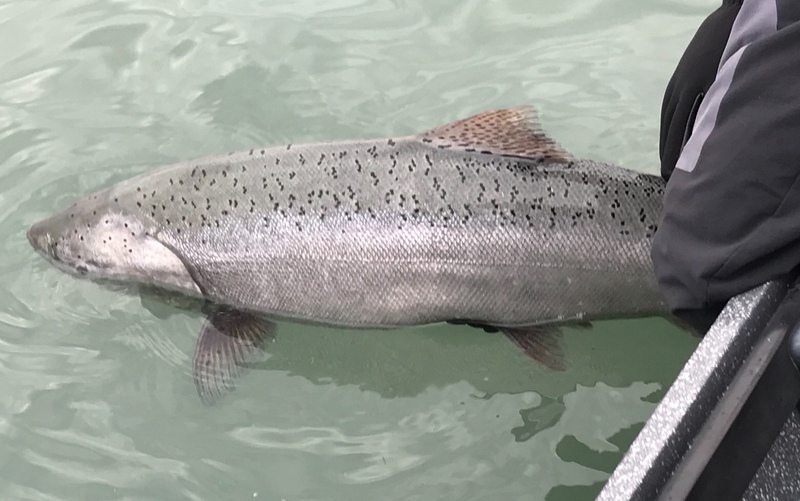 Thank goodness, the King Salmon have returned to the aqua green waters of the Kenai Peninsula, and the focus has shifted elsewhere, for now. But rather than easing back into full harvest, with pro-active, conservation-minded regulations, ADF&G liberalized drastically just as soon as the run showed signs of improvement. If this continues to be the strategy, then I suspect we’ll find ourselves right back where we were 5 years ago, fighting over the same fish with the same arguments and the same flawed logic. We have already repeated history here multiple times, and I’m not sure how many more times Mother Nature will let us get away with it. Something must change in order to avoid these boom/bust cycles that are much more extreme than what’s natural. 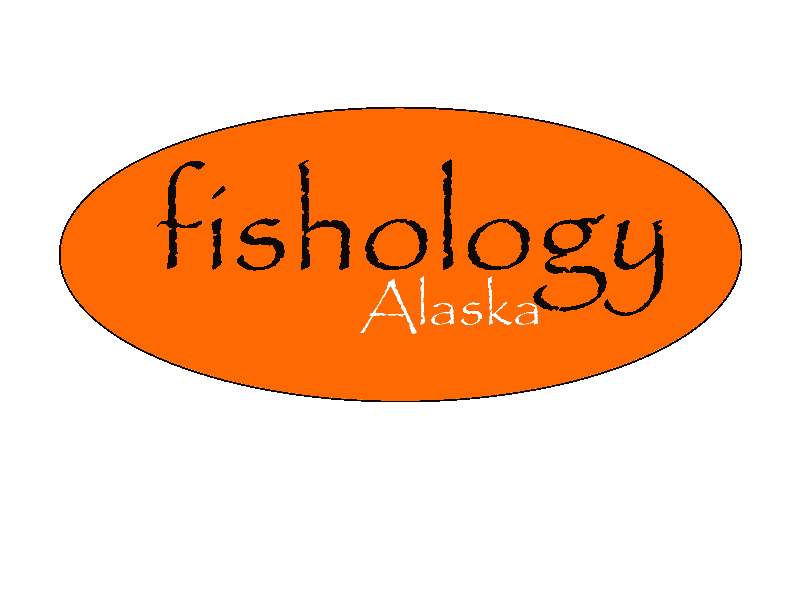 A handful of years ago Fishology decided to take a stand. We decided to truly put the fish first… above the fillets, above the bookings, and even above our bottom line. Before we book any clients that wish to fish for WILD King Salmon (basically July Kings on the Kenai and Kasilof), they must agree to abide by our self-employed policy, whether they match the regulations or not. For the first few years we simply chose to release all July King Salmon. It was simple and easy to follow, and given the scary low numbers of fish that had been entering the river, it seemed appropriate. As the fish began to return we allowed for a small amount of harvest, only retaining Kings 36 inches and under, or around 20-25 pounds. Seeing the run continue to build, in 2018 we expect to increase the lower limit to 40 inches. This should allow our guests to harvest the small/medium sized males, while continuing to protect the valuable hens that are very much needed on the spawning beds! 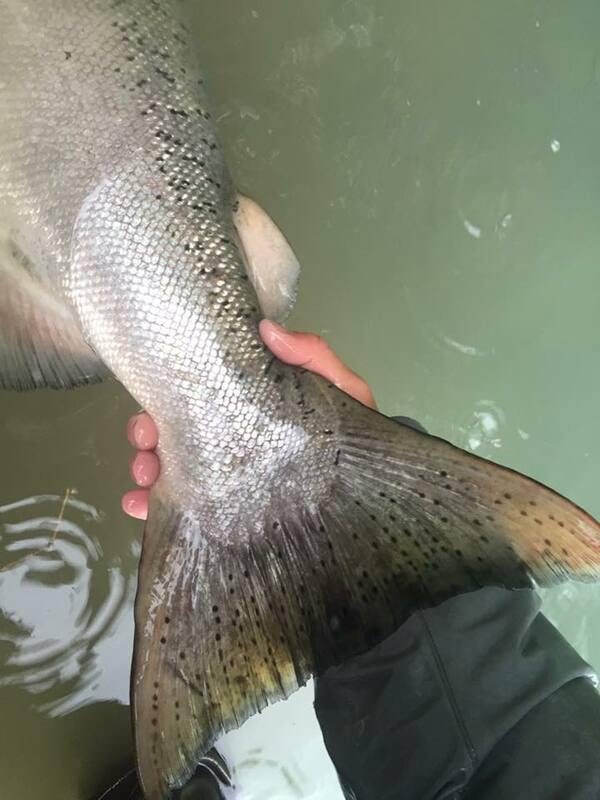 We wholeheartedly believe that this policy is a sustainable one, as the river can withstand some harvest, but not all-out unrestricted harvest that targets the largest fish in the run. 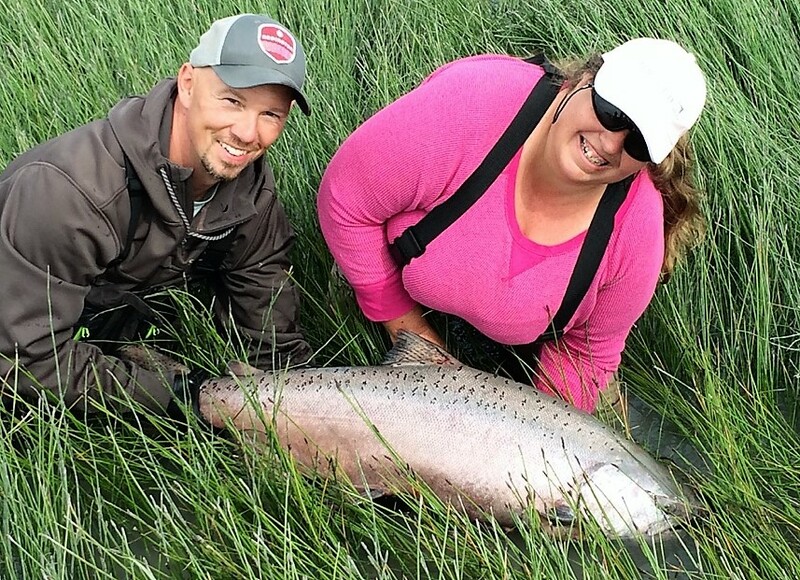 We do understand that many of our guests come here with the goal of bringing home lots of fish for their freezer, so when this is a priority, we’re able to customize their trips by offering Sockeye/King combos. These awesome trips not only provide a great opportunity for harvest, but also bring some exciting variety to the trip, fishing for multiple species using multiple techniques. 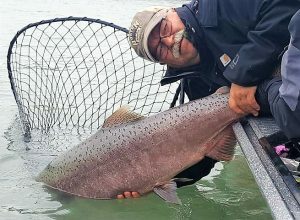 We like to think these Sockeye/King combo trips are our specialty J There are also halibut, silvers, rockfish, lingcod, fly outs… you get the idea… TONS of opportunity for harvest, and no need to focus your harvest on large, genetically unique King Salmon. 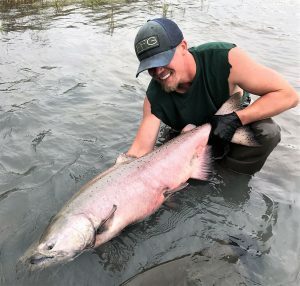 If you want to find out more about the state of King Salmon on the Kenai Peninsula, check out this organization that is trying to change the culture on the Kenai by educating anglers and inspiring them to do the right thing – Fish for the Future – is a powerful organization that continues to lead the way in local King Salmon conservation efforts. 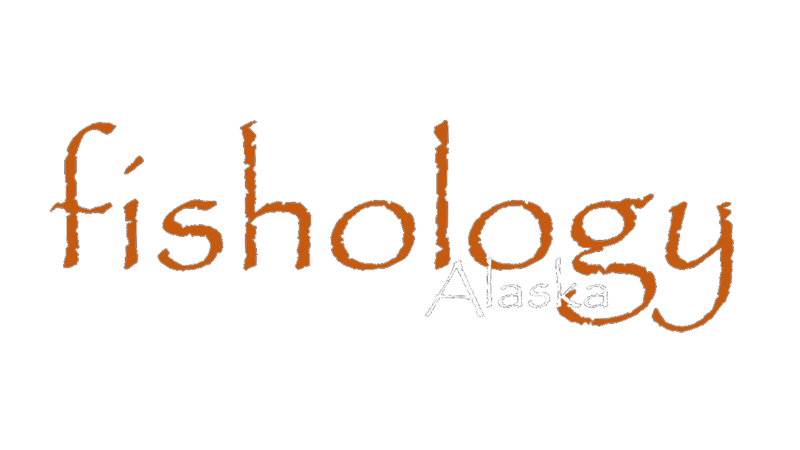 And if any of you want more information about Fishology’s policy, or the reasons for it, please feel free to contact us anytime. This is a subject we’re passionate about, and love discussing it, hearing various viewpoints, and educating others about it.